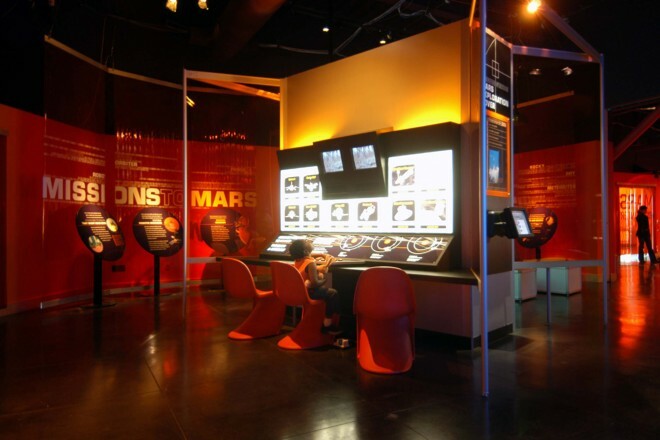 Plan your next trip to the red planet. 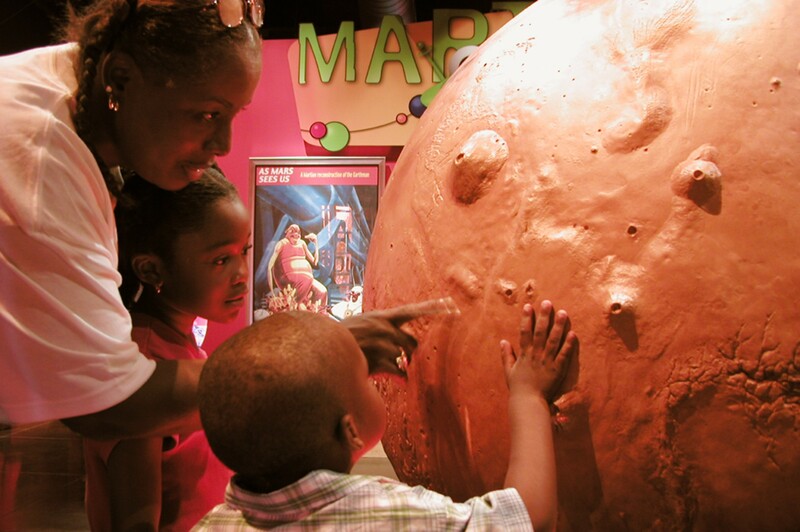 In 2004, Mars was a mere 34.6 million miles from Earth. 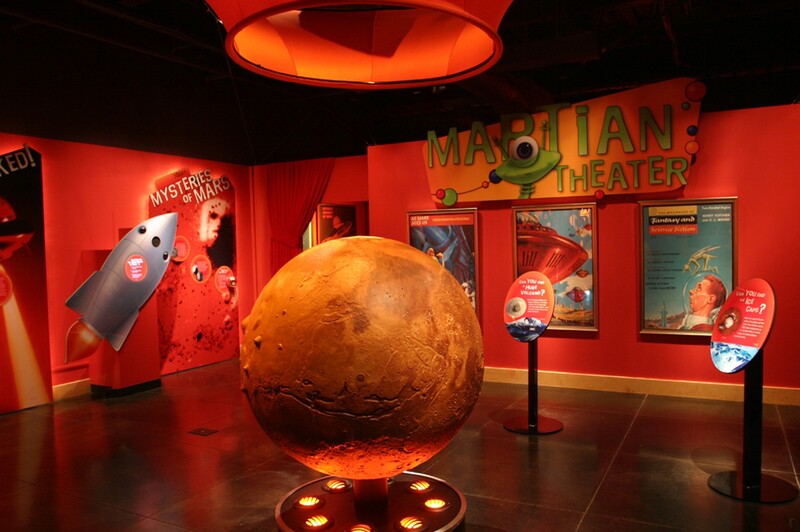 This exhibit makes it more approachable than ever. 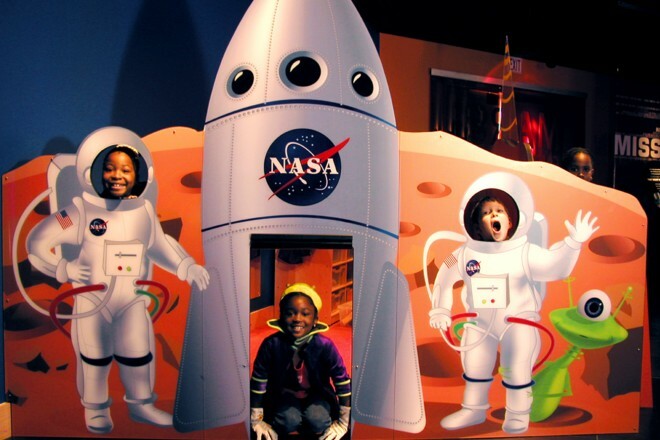 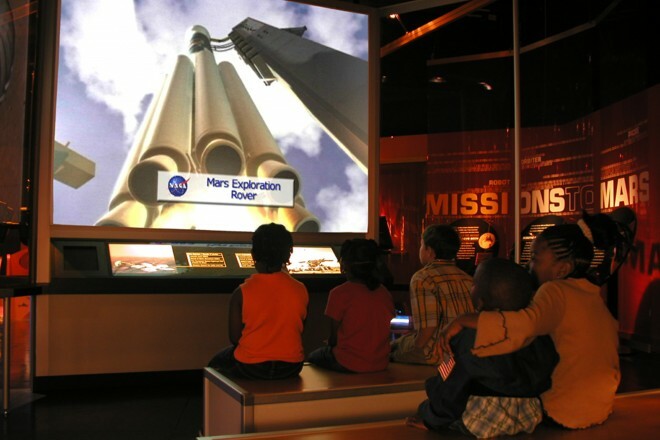 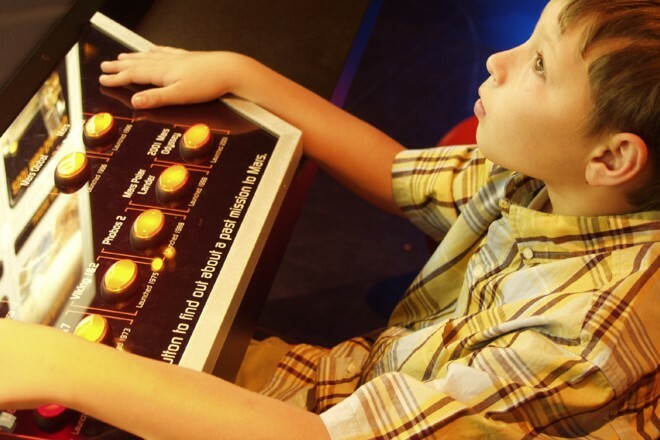 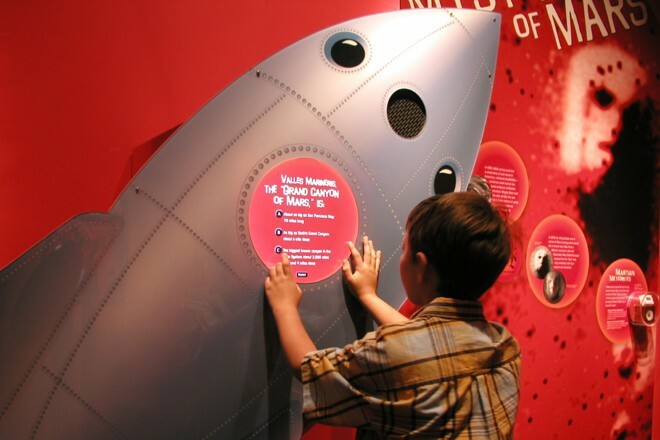 Visitors look at the red planet through telescopic lenses and through the popular imagination. Accessing real data from current and past missions to Mars, and having their pictures taken with a little green man, visitors explore a far-off world, and the far-out fantasy it inspires. Offers something Chabot visitors have been clamoring for more of… fun.